Hubler has it all, so don't hesitate to get in touch with our family owned and operated used car superstore in Greenwood, Indiana today! 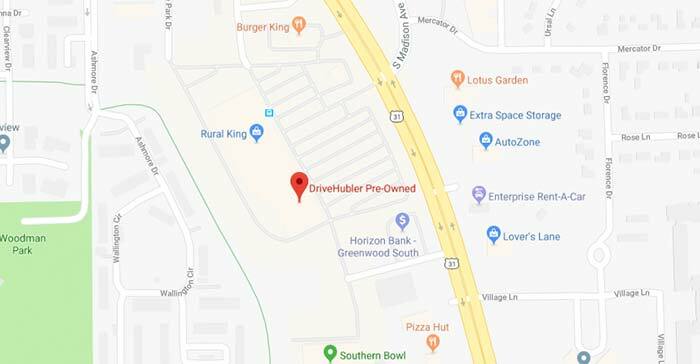 DriveHubler Certified Pre-Owned is part of the Hubler Automotive Group that has been serving the Franklin area since 1962. Our fair, market-based pricing, customer-centric shopping experiences and extensive selection of quality pre-owned cars for sale has enabled our dealership to thrive over the years. We're a dealer to help the people, so talk to us about the coupe, SUV or truck you're looking to trade up to today. 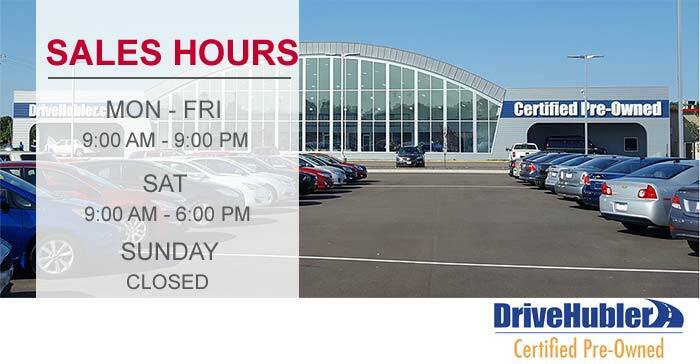 For great selections, great prices and great people, head to our used car dealership near Indianapolis, IN! With over 300 pre-owned vehicles in stock at this location and a shared Hubler inventory of over 1,200, all drivers in the Whiteland, Indiana area are sure to find a well-maintained, stylish vehicle that complements their on-road needs. Our professional staff will customize a used car shopping plan to suit your search requirements, so tell us about the spirited SUV you're looking for that will keep up with your adventurous personality or the rugged pickup truck that will tackle all your towing needs with ease. Treat yourself to the Hubler Experience, visit our huge indoor showroom to browse affordable sedans today. To ensure all drivers in the area are able to secure the innovative pre-owned Ford F-150 pickup they've been wanting, our dealership offers an array of used car specials that can be browsed right here on our interactive website. The benefits of DriveHubler Certified Pre-Owned don't end there, be sure to ask about our reconditioned Q Certified inventory that includes a comprehensive warranty and powertrain warranty. End your search for a Chevrolet Cruze or Silverado 1500, shop our pre-owned selections on-site or online! Whether you have a healthy credit score, have yet to establish credit or are currently in a sub-prime credit situation, our used car superstore in Greenwood, Indiana is here to assist with your financing concerns. We have excellent credit programs that can help get you back on track, so feel free to send our team a finance application online so we can start to explore the loans available for your upcoming used Chevrolet Equinox purchase. DriveHubler Certified Pre-Owned is not only your go-to used car destination but your auto financing resource, so team up with us now! From special financing to auto detailing and exciting test drives, DriveHubler Certified Pre-Owned is here to cater to your used car needs. We're located in Greenwood, IN and invite our Indianapolis, Franklin and Whiteland neighbors to shop our dealership on-site or online today!